It was playing at the Cavern club than Paul and John Lennon realised most groups were just doing cover versions, this inspired them to write their own music and this was a feature of the Beatles recordings for the next ten years. 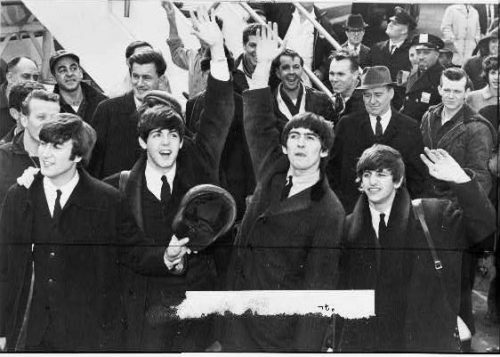 The Beatles Kennedy Airport, Feb 1964. In 1963, the Beatles soon shot to international fame and became one of the most recognised names in the world, especially after there visit to the US in 1964. 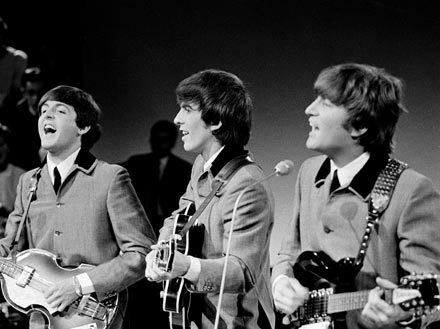 At the peak of their fame, the Beatles followed a punishing schedule of recording, live performances and media interviews. The music of the Beatles captivated a new generation of music lovers, but also their free spirit and innovation captured the feeling of the 1960s and sense of breaking out of old forms and traditional ideas. In 1966, the Beatles performed their last live tour in the US. They decided to stop live performances because of the hysterical screaming and attention of fans. This encouraged them to do more private recording. In the late 1960s, the group spent more time in the recording studio. They also became more innovative, incorporating Eastern influences and new styles into their music. In 1967, the Beatles visited a meditation retreat by the Maharishi Mahesh Yogi. McCartney said of the experience. In the late 1960s, there was also increased tension between Paul McCartney and John Lennon. Lennon and McCartney were the two major composers and writers, but they started to drift apart. McCartney struggled with Lennon’s heavy LSD usage and also resented Yoko Ono’s presence in recording studios. However, despite the personal tension, the late years of the Beatles produced some of the most memorable music of their career. It included ground-breaking albums such as Sgt. 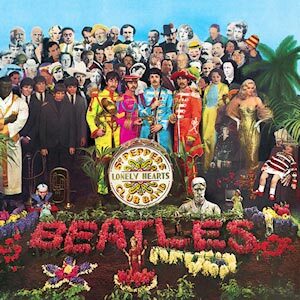 Pepper’s Lonely Hearts Club Band, The Beatles and Abbey Road. However, by 1970, the Beatles had split, with Lennon the keenest to pursue a new direction. The break up was difficult for McCartney who experienced a period of depression. However, his new wife, Linda encouraged him to pursue a new career path. This involved forming a new band – The Wings, which lasted until 1981. During the 1970s, the Wings had major successes. The Mull of Kintyre was the first single to sell more than two million copies. In the early 1970s, there was some lingering friction and competitive spirit between Lennon and McCartney, though they did reconcile for a period in 1974. McCartney was devastated by Lennon’s murder in 1980 and stated he wished he could have got to know him better. 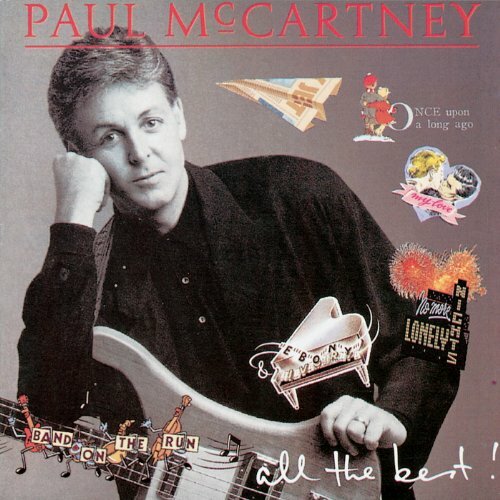 Paul McCartney has produced over 60 gold discs and has sold over 100 million singles. His song ‘Yesterday’ from album Help! (1965) is the most covered song in history. Paul admitted that he had at times a difficult relationship with the media, in particular, he got fed up with all the questions about the Beatles. After marrying Linda McCartney in 1969, Paul became interested in vegetarianism and human rights. He has supported many animal rights charities. After Linda’s death from cancer in 1998, he recommitted himself to supporting Linda’s vegetarian food company and animal rights charities. Paul remarried Heather Mills in 2002. But, by 2006, the British press reported their breakup which led to an acrimonious divorce. As one of the most recognised and successful musicians on the planet, Paul McCartney is in great demand for opening major venues. He performed at the opening ceremony of the London Olympics in 2012. Citation: Pettinger, Tejvan. “Biography of Paul McCartney”, Oxford, www.biographyonline.net, 28th May. 2007. Updated 1st February 2017.